Kiko Casilla is expected to arrive in England to undergo a medical within the next 24 hours ahead of a proposed permanent move to Leeds United, according to the Yorkshire Evening Post. The Whites have zeroed in on Real Madrid’s third-choice custodian to strengthen their goalkeeping department after running thin on options following an injury to Chelsea loanee Jamal Blackman. Leeds are keen on closing a deal for the shot-stopper before their meeting with Stoke City on Saturday and Casilla, who missed training in Madrid this morning, is keen on joining the Championship leaders. The Spaniard has yet to make an appearance for Real Madrid this term and is aching for regular first team involvement to try and resurrect his career elsewhere. 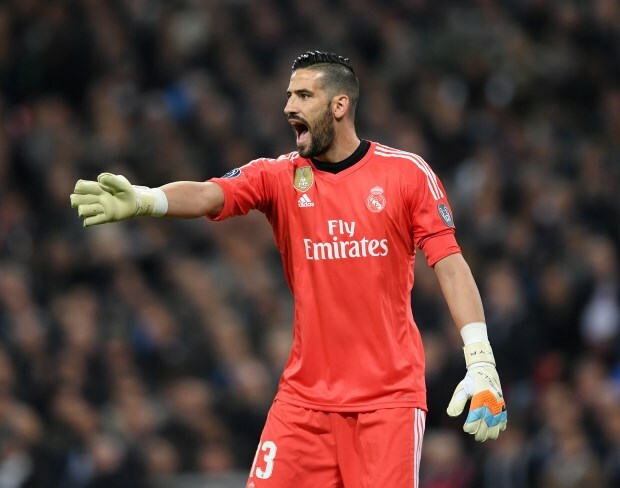 Despite being reduced to a bit-part player during his time at the Santiago Bernabeu, Casilla has notched up 43 appearances for Los Blancos since joining in 2015. The addition of Casilla will add to the competition on offer for current first-choice goalkeeper Bailey Peacock-Farrell, who could face a stern challenge to remain as the number one at Elland Road. Casilla, who is a product of the Real Madrid academy, will be into his first assignment away from Spain, should he join Leeds in their push for promotion from the second-tier. Marcelo Bielsa’s men are currently leading the race for promotion after amassing 54 points from their 27 games in the Championship until now.